Who doesn’t love a cinnamon roll? The smell alone grabs at the memory heart strings, although it may remind you of the airport, where cinnamon rolls lure in hungry passengers. They know the power of cinnamon and sugar wafting in the air. But, I make biscuits. Lots and lots of biscuits. Nineteen and counting, and still no reality show or cookbook! Actually, this biscuit recipe, along with two other recipes is published in a cookbook, and when they send me the promised copy, I’ll be able to share that. I recently demonstrated my strawberry and cream biscuits at Williams Sonoma, so you know they’re good, because no one would make a biscuit in the South if she wasn’t sure they were winners. If only I had their oven at home, because they rose a mile higher and tasted even better. Now I need a new stove, a new oven to go with my soon to be installed new carrara marble counter tops. (Yes, dreams sometimes come true). I’ve been talking about a kitchen remodel for years, and it’s finally happening. I will be blogging about the process, which will include how to choose the right white to paint kitchen cabinets, how to choose hardwood floors, counter tops, backsplashes, and how to pick paint colors. (I used to do professional faux finishing, so I have a lot of favorite paint colors memorized. The biggest thing I will share with you is how incorporate YOU into your own styling and not decorate for someone else’s life. If you’re dying to get carrara marble and someone tells you NO, well, I have something to say about that too. 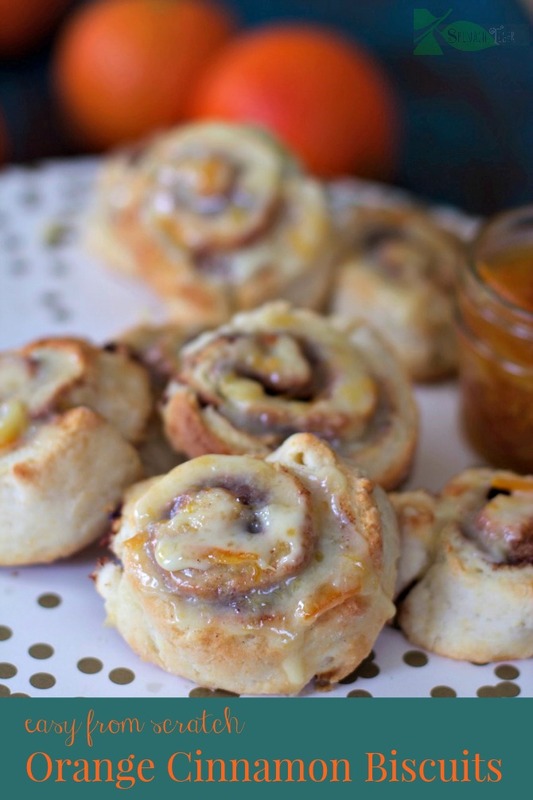 Back to these orange cinnamon roll biscuits. 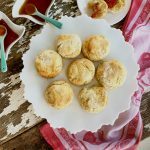 These are just a little bit different from my southern fluffy biscuit, my all time most popular and most praised post, made to perfection by your numerous comments. Instead of pat and cut, you will roll the dough out, but it only takes another few minutes, and I’m not kidding when I say I can get these in the oven and into your mouth in under 30 minutes. 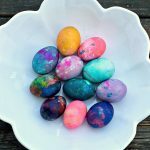 I’ve made these numerous times to make sure that you would be able to do this at home. I caution you. Work quickly, and don’t fret if they don’t look fabulous; they will taste amazing, if vanilla, cinnamon and orange in a fluffy, soft biscuit with a bit of a crunch appeals to you. I made an orange glaze for the top (which you may or may not choose to do) using my homemade marmalade. 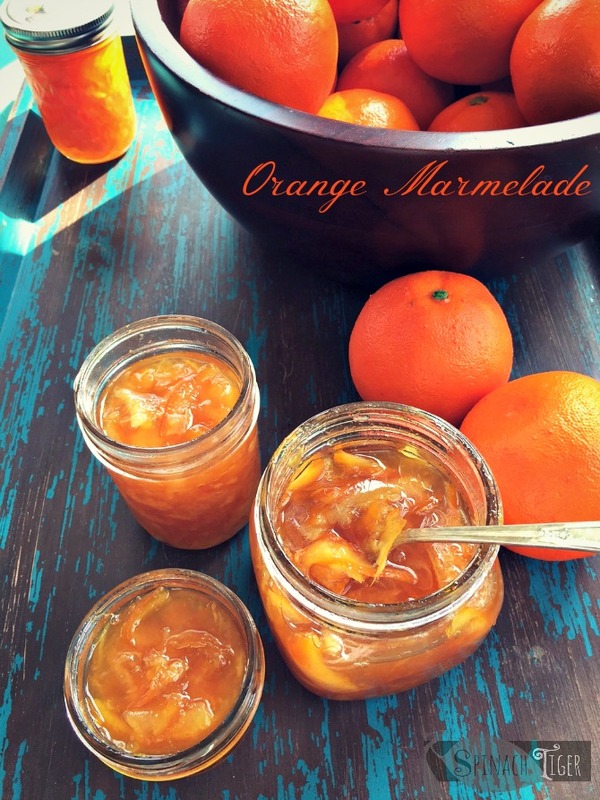 You could make a plain glaze or use a store-bought marmalade. Rolling biscuit dough is tricky. If it’s your first time, set the dough in the freezer for about 3-5 minutes before cutting. By the time you use your warm hands to roll up the dough, it can get a little soft. This was my second batch, with a vanilla glaze. Omit marmalade, add a dash vanilla. If you don’t have marmalade, you can use some orange zest and a squeeze of the juice, mixed with confectioner’s sugar to make the glaze. 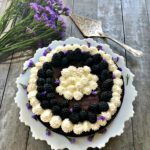 The best way to get the consistency you want, is to start with a cup of confectioner’s sugar and add in the liquid a tablespoon or less at a time, until you get what you want. Pour over the biscuits right as they come out of the oven. Allow to cool for a few moments. Eat. Smile. Eat again. So tell me, do you have memories of cinnamon rolls as a child? Or, are you dreaming of a new kitchen like I was? Please take a sec and connect with me on Instagram and Facebook and follow along with my kitchen redo and that goes on there. 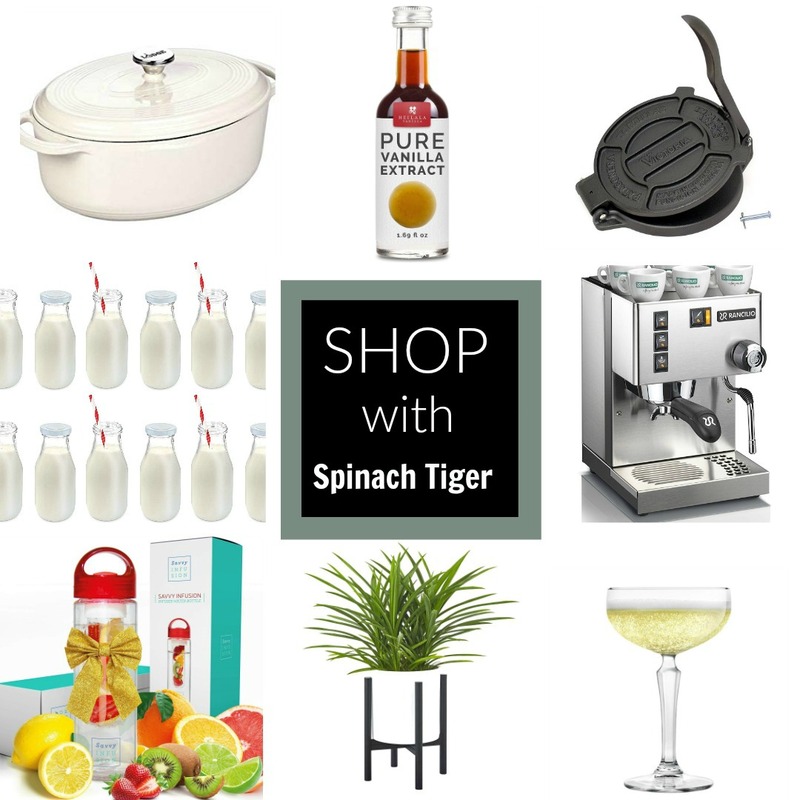 If you make any of my recipes, snap a picture and tag #spinachtiger. 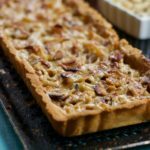 I would love to hear about your baking experiences and what your dreamy kitchen would include. 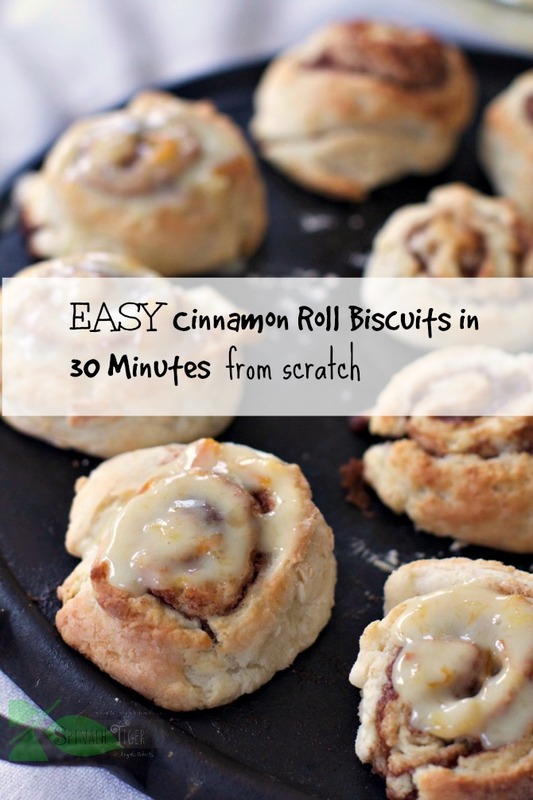 A shortcut to the yeast cinnamon roll, these cinnamon roll biscuits are ready in 30 minutes start to stop. Cut butter into small cubes and freeze while gathering ingredients. Mix together flour, sugar, baking powder, salt. Add in butter with pastry cutter or by hand, incorporating until you have pea size pieces of butter. Add vanilla to buttermilk. Add to flour mixture. Start with ¾ cup and add more needed. You want dough to be sticky. Place dough on a floured counter top. Sprinkle flour on top to enable you to roll out to about ½ inch thick in a rectangle. Add butter and cinnamon sugar. You can add as much as you need to taste. Roll the long side up and cut into rolls. 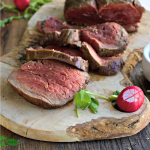 Place sides touching on a cookie sheet, stone, or cast iron pan. 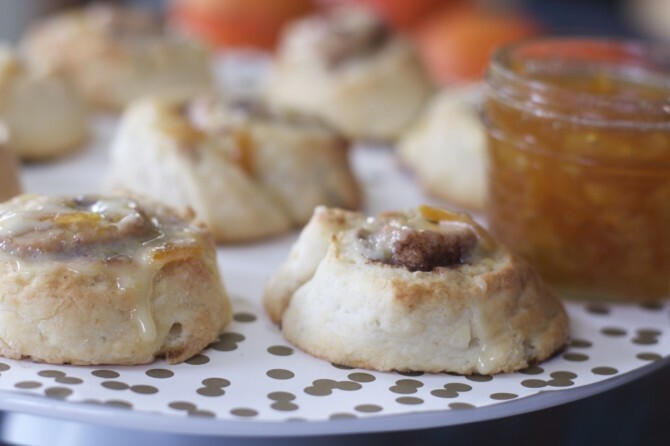 Make glaze by mixing confectioner's sugar with marmalade for an easy orange glaze. Or you can use orange juice. If you have an orange, zest in a teaspoon of zest and use the juice. Pour glaze over the biscuits as soon as they come out of the oven. You might want to put the rolled up biscuit dough in fridge for five minutes to make it easier to cut. When we first came across your gluten free fluffy biscuits, my husband, who had just found out that he’s celiac, almost cried with joy and I’ve been baking it every weekend since. 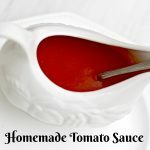 We can’t thank you enough for inventing this recipe which really changed my Southern husband’s world. 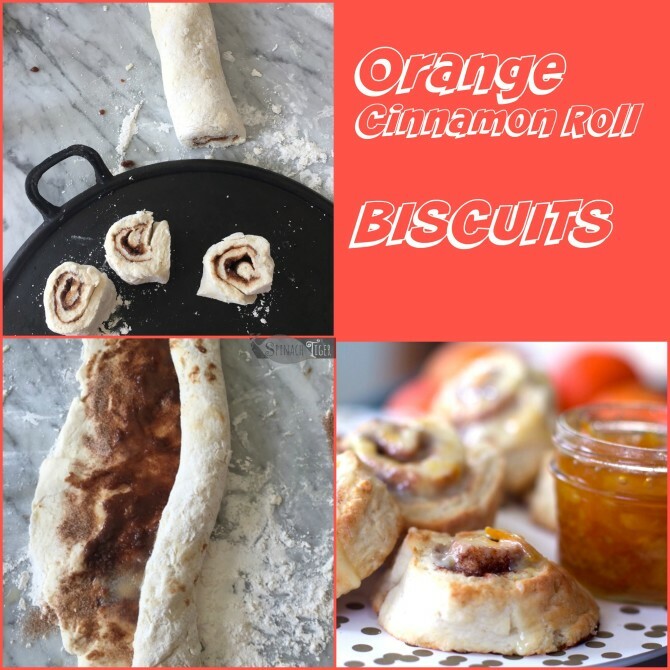 This Orange Cinnamon Roll is something we’d like to try next so my question is, can I make this gluten free by simply substituting flour to gluten free one? Or is there something else that needs to be added. 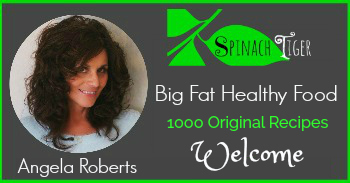 I’d really appreciate your advice and again, thank you for all you do! Thank you so much. I will be remaking this to see what happens and will let you know. How did I find myself without any flour in the pantry this morning. Ugh! But these do sound testing Angela.